Electronic systems now pervade almost every aspect of our lives, from the work environment, through to filling the car with petrol and even shopping at the local supermarket. As a society, we are now heavily reliant on the continuous and efficient running of such systems. The use of computers, electronic process controls and telecommunications has exploded during the last two decades. Not only are there more systems in existence, the physical size of the electronics involved has reduced considerably (smaller size means less energy required to damage circuits). 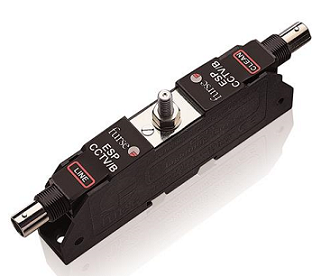 IEC/BS EN 62305 accepts that we now live in the electronic age, making LEMP (Lightning Electromagnetic Impulse) protection for electronic and electrical systems integral to the standard through part 4. LEMP is the term given to the overall electromagnetic effects of lightning, including conducted surges (transient overvoltage and currents) and radiated electromagnetic field effects. LEMP damage is so prevalent such that it is identified as one of the specific types (D3) to be protected against and that LEMP damage can occur from ALL strike points to the structure or connected services - direct or indirect - for further reference to the types of damage caused by lightning see Table 5 on page 270. This extended approach also takes into account the danger of fire or explosion associated with services connected to the structure, e.g. power, telecoms and other metallic lines. 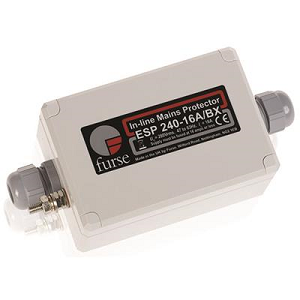 For over a decade specifiers around the world have been using Furse ESP 240/415 M1 protectors from ABB, to safeguard mains power supplies. Further innovations enhance the protection levels. 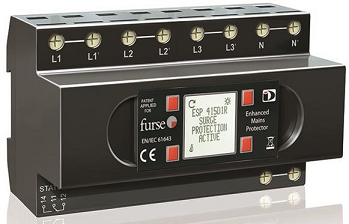 ABB continues to develop the Furse surge protection device range to ensure the best possible protection of people and equipment. 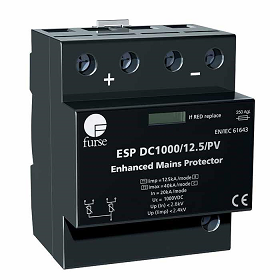 The ESP M1 Series units, which are renowned in the market for quality and innovation, have now been upgraded to provide the latest transient overvoltage protection technology, delivering industry-leading voltage protection levels. 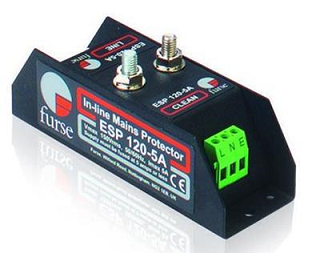 As the mains supply current doesn’t pass through the ESP M1 devices, each one is suitable for supplies of 20, 200 or 2000 A. 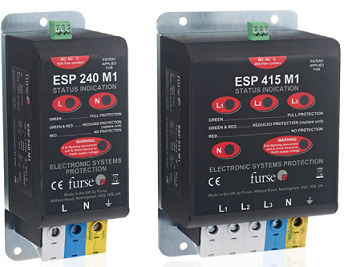 The ESP 415 M1 can be used to protect electronic equipment on three-phase mains power supplies (346 - 484 Volts RMS), whilst the ESP 240 M1 is designed to protect electronic equipment on single mains power supplies (200 – 280 Volts RMS). Electronic equipment protected by the ESP M1 Series range from computers, transmitter/receiver systems and uninterruptible power supplies (UPSs) through to drives and inverters, programmable logic controllers (PLCs) and critical medical equipment. 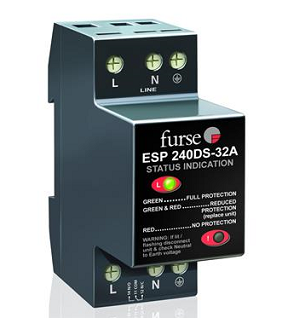 Now the new advanced ESP 240/415 M1 Series offers transient discriminative technology to ensure the industry’s best voltage protection level, safer disconnection from faulty supplies when tested to the latest IEC/EN 61643 standards, plus increased direct surge current (10/350 waveform) ratings (phase and neutral modes to earth).